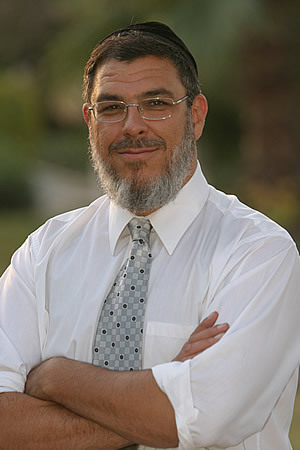 Joel Yaffa, M.D. graduated from the University of Medicine and Dentistry of New Jersey. He practiced as a family doctor in Southern New Jersey for 12 years. During that time his conventional medical practice grew to 6,000 patients and he was on staff at 3 local hospitals. He founded an ran an occupational medicine facility and served as medical officer for one of General Electric Aerospace's branches and was key in Bechtel's Cogeneration Plant reaching 1 million injury free hours. Dr. Yaffa crossed the tracks to learn and practice a more natural brand of medicine when he saw how the miracles of natural medicine combined with conventional medicine helped his little son be cured, thank G-d, from a serious cancer. Dr. Yaffa lives and practices a combination of conventional and alternative medicine with his family where he is an outspoken advocate and full time practitioner of Bio-Identical Hormones. He has been quoted and written about in newspapers and magazines over the years. He feels that the Bio-Identical Hormone message is so important for the world to understand, not just the fortunate few, that he is dedicating his time to bring "what the experts are saying to the public" in the form of the BHRT World Summit. Dr. Yaffa's mission is to get the word out to the masses about the four plus decades of successful treatment outcomes from using Bio-Identical Hormone therapy. He says, "People are always amazed at how good they feel and function once they get back the balance in their hormones."